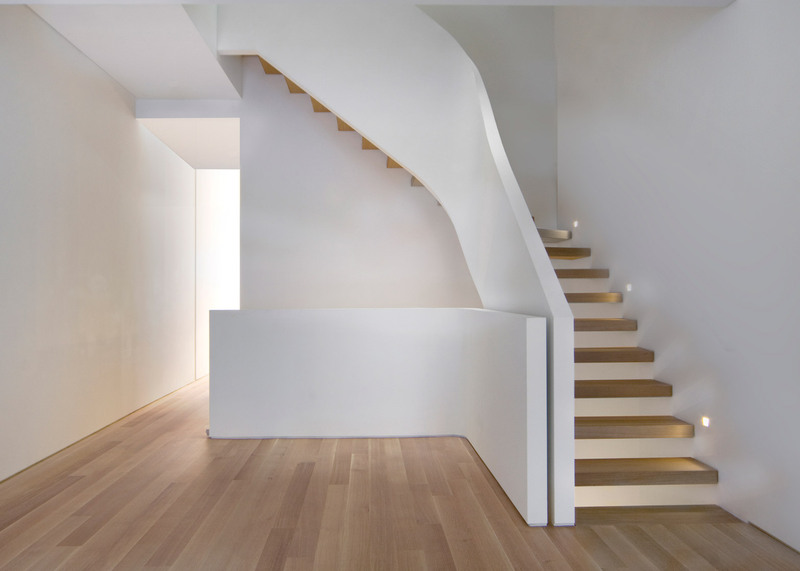 New York firm Space4Architecture has added a curving white staircase with oak treads to a historic townhouse in the city's Upper West Side (+ slideshow). The practice set out to create "spatial continuity" within the narrow five-storey house by uniting the different areas of each floor. 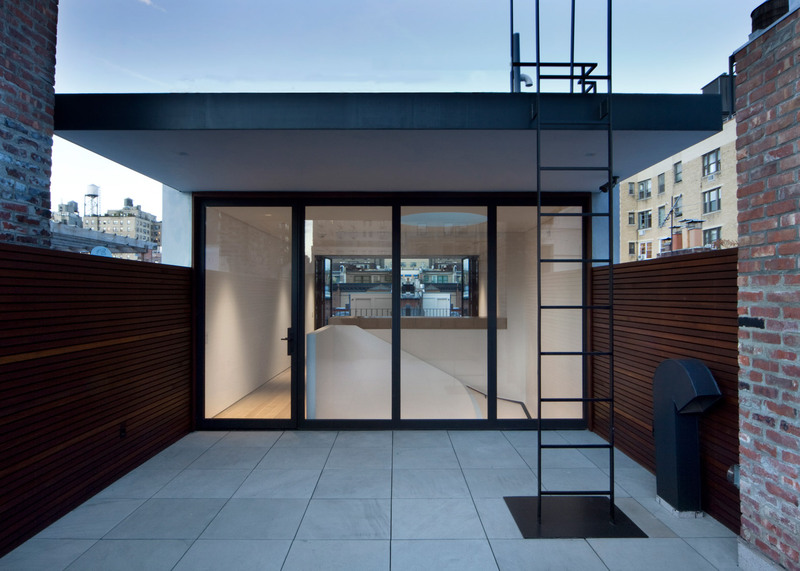 "Our design intention was to recall the concept of a loft, in this case a vertical loft," said Space4Architecture, which has worked on several residential projects in New York. "To emphasise this feeling of openness, we had to work simultaneously on a horizontal and vertical plane." The first two floors of the building were extended towards the back garden, and a fully glazed wall added to bring in natural light. 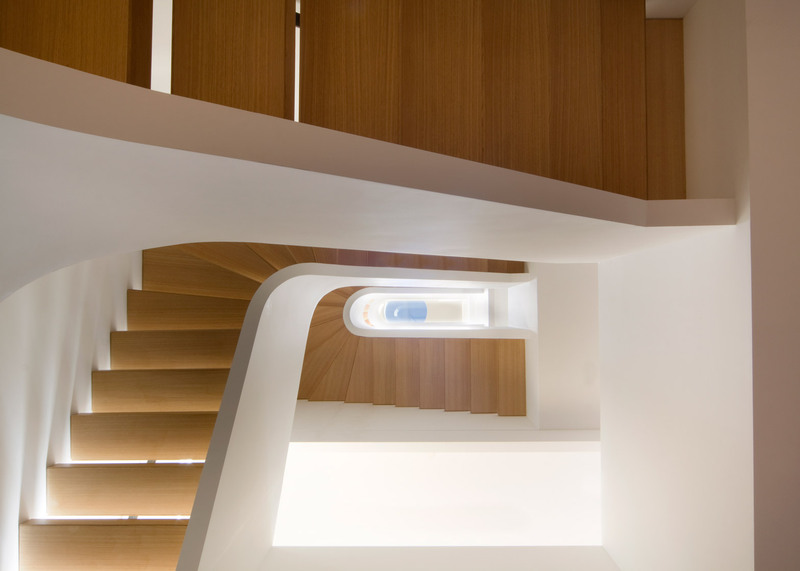 The staircase, which the studio named White Snake, comprises oak treads and open risers. 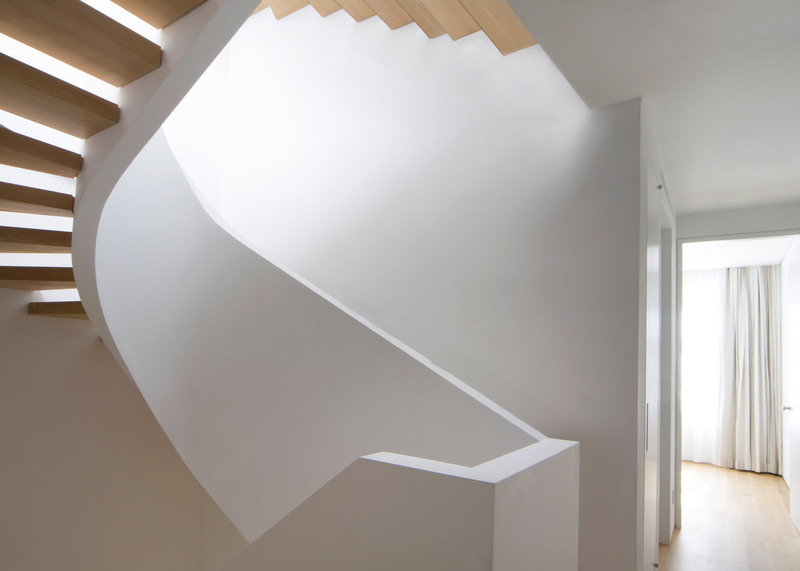 The treads are held in place by a solid white parapet that curves upwards through the house, and also acts as a bannister. The same materials are echoed through the rest of the interior, which features wooden floorboards and white walls. The staircase is larger at the lower levels of the house to reveal its L-shaped plan. At the upper floors, it becomes more sinuous to maintain maximum living space. 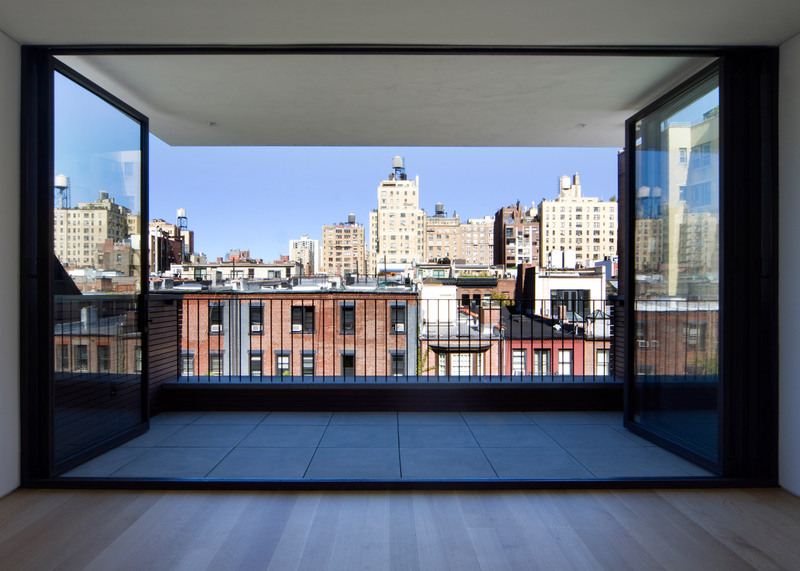 The firm also added a private lounge to the top floor of the house, which allows the homeowners to enjoy views across Manhattan. Other sculptural staircases include slender black wireframe steps used to mark the junction between the two floors of a house in Bulgaria, and a cross-shaped staircase added to a converted office building in Belgium. We've also rounded up our favourite staircases of 2015, including a pair of spiral staircases that wrap around a Japanese wedding chapel and concrete steps with no balustrade in a converted factory in Spain.